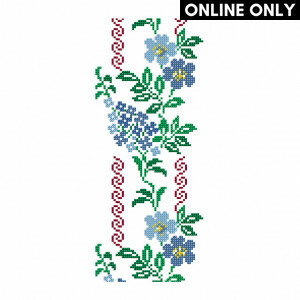 Download patterns from all of your favourite brands such as Red Heart, Phildar, Bernat, Caron and many more. We have 100s of knitting, crochet and cross-stitch patterns for you to enjoy - from baby patterns to patterns for beginners - you'll be sure to find the pattern that's right for you! 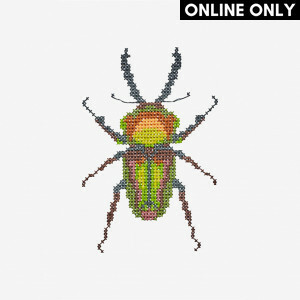 If you're a fan of creepy crawlies, you'll love this free cross-stitch critter design! The simple ye.. Here comes winter, and here comes a simple hat that gets you enjoying warmth fast. The Caron Simply ..
Knit this unique cowl with Urth's Uneek Worsted yarn. Requirements- 1 skein of Urth's ..
White leaf sprigs and red berries you knit this year will become a special wreath tradition to enjoy..
Add texture to this wonderful, contouring accessory with a crochet cluster look. Easily turn this on..
Indulge your love for warm, fashionable items, with this gorgeous, oversized pullover. Made with Car..
You can't go wrong with this beautiful and chic two color jacket. Impress your friends at a dinner p.. Combining pretty blue blooms with a decorative red swirl, we love this blue climbing flower free cro.. These statement pillows are great for someone looking to refresh their home décor with some added te..
Easy to make, perfect for a crochet novice. It only takes about 1.5 hours to complete your project! ..
Brighten your room’s mood with a throw that really pops with color! This crocheted beauty is made of..
You can't go wrong with this beautiful and chic cardigan. Impress your friends at a dinner party or ..